Wow!! 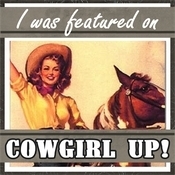 It's Anita here, and can I say that all of us at Team Cowgirl Up! were blown away by the response last week? First off, week #1 kicked off with over 180 links, and the quality of projects was stellar. Let me just say, YOU ROCK!! I know there are lots of parties out there, and we are so excited you have taken the time to join us. It was very difficult to select just a few projects to feature, but here's some that I really loved. Coastal Colors showed off her side table redo with this great French graphic. Coastal Charm saved mega-bucks with her thrifty new DIY $240 floor! 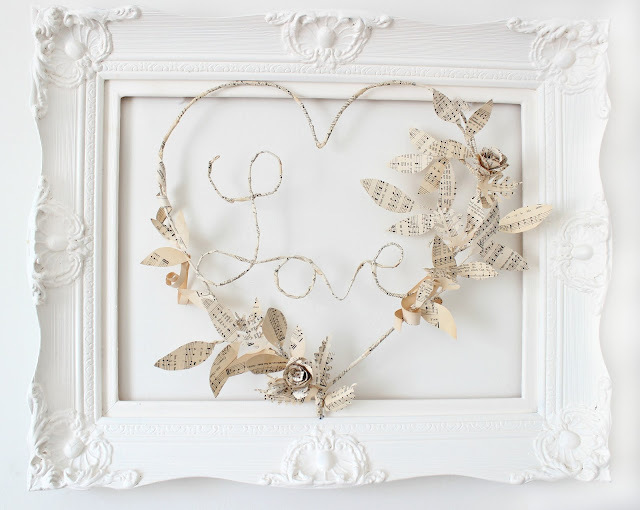 Craft Berry Bush shares how she made this wonderful winter wreath in a white frame. A Few Pennies used odds and ends to create some new va-voom. Savvy Southern Style showed gave us a tour of her dreamy, serene bedroom. There were tons more projects I wanted to highlight, but for the sake of space, I'll stop there for this week. If you were featured here, grab a Featured button. Be sure to like our Facebook pages, since we also post favorites there too. If you got featured on Facebook, then feel free to grab a featured button also. you link up on my blog and your link shows up on four blogs. Cool, huh? More exposure, less time. Sounds good to me! 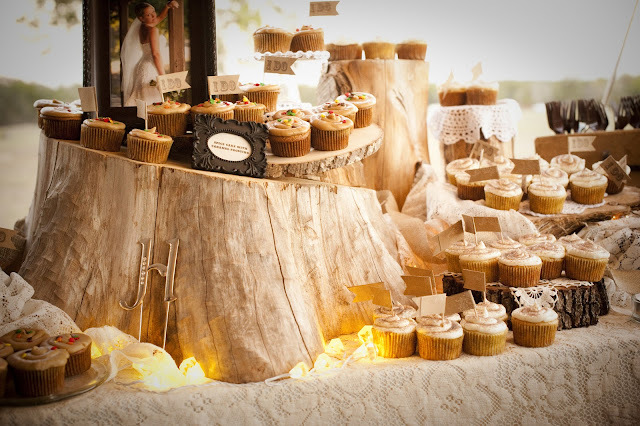 Samantha, I was so honored and humbled to be featured on your first blog party! Thanks! Your participation numbers were great! Thank you for hosting another great link party! New friend here!! Thanks for hosting the party!! Thank you so much for the invite. Thank you for hosting as well. I am a new Linky and Google Follower! Hi there. I just linked up a few projects. Thanks for the invite. Great blog, Samantha. I'm now following via GFC and Linky. I also linked up this week. So happy to see all of you here! The party is more fun when the best bloggers show up. So... thank YOU! Can't wait to see what you are showing off this week. Just found this link up -- so fun! And, love that side-table redo!